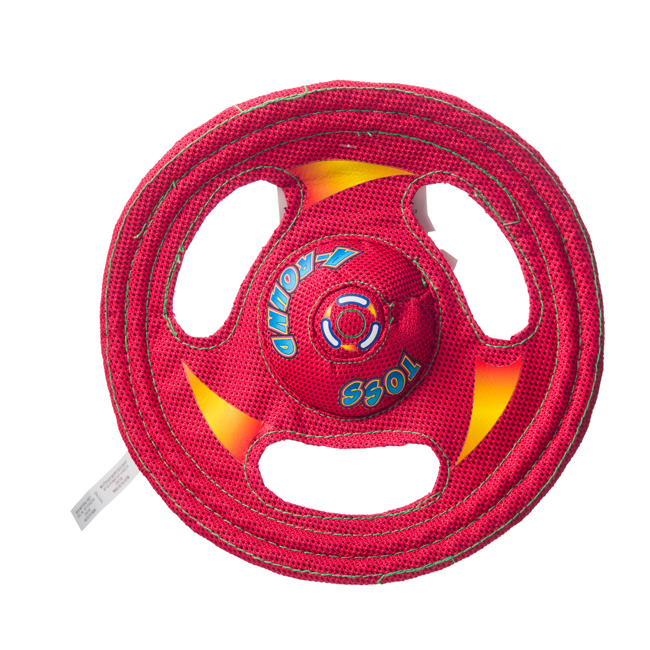 Grips throughout the disc are great for tugging, tossing and carrying inside and outdoors. 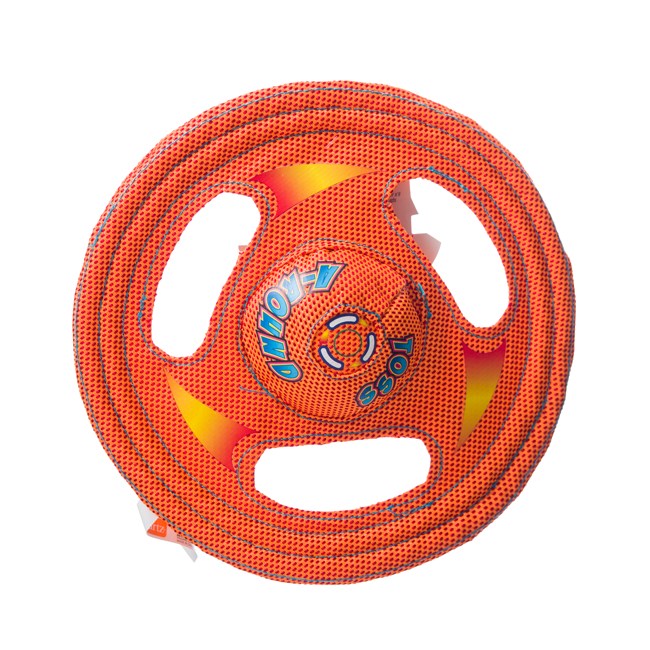 It even floats on water! 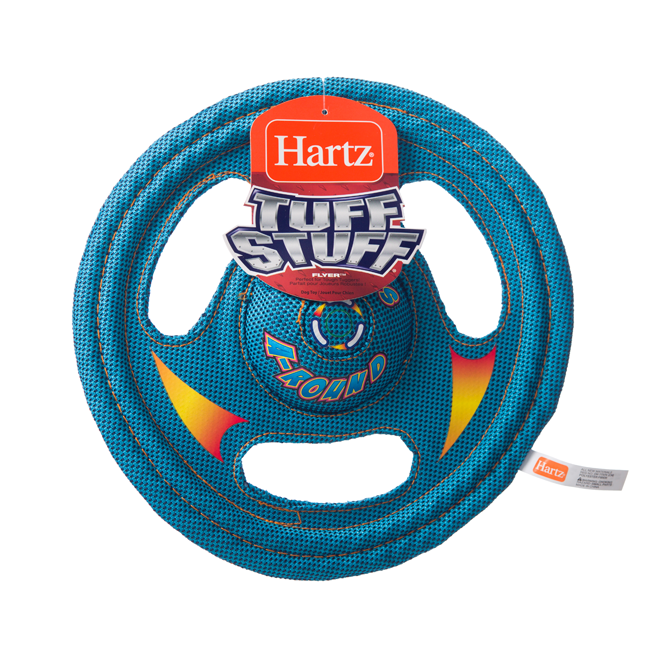 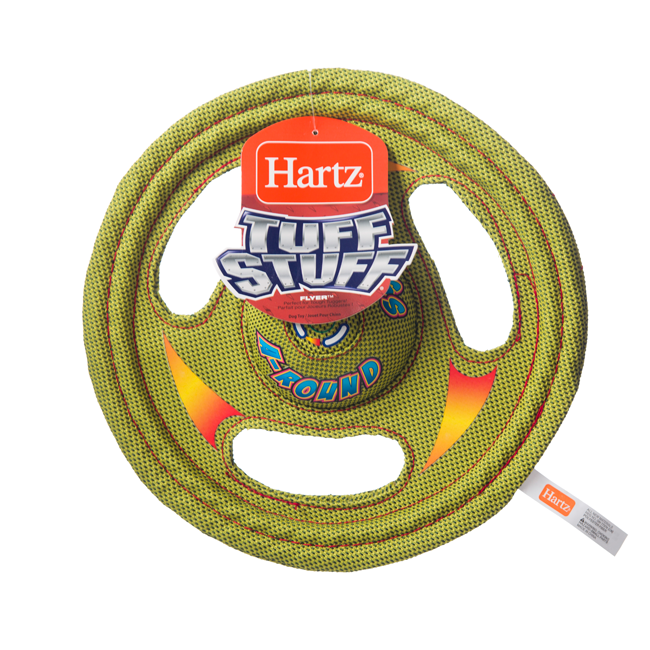 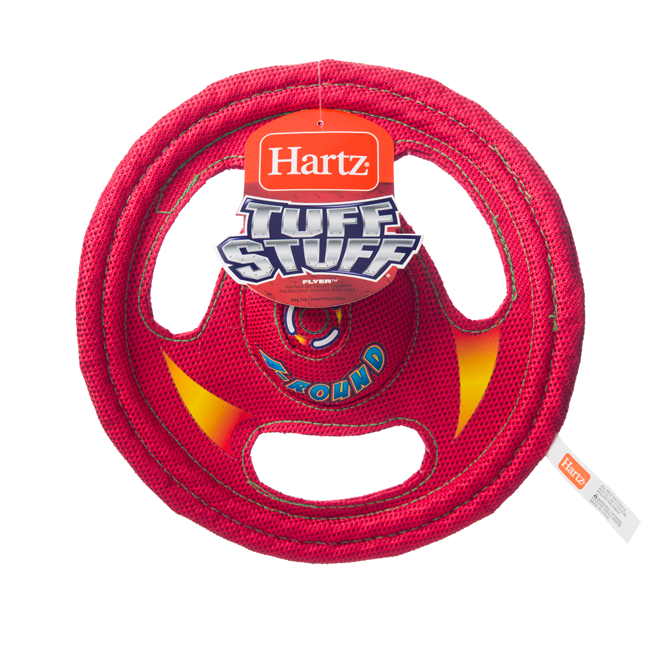 A great alternative to rigid plastic discs, the Hartz Tuff Stuff Flyer is a durable yet flexible flying disc that travels long distances and is easy on your dog’s teeth. 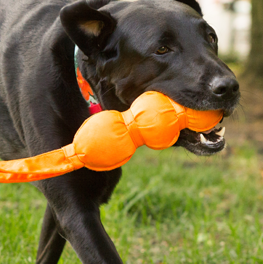 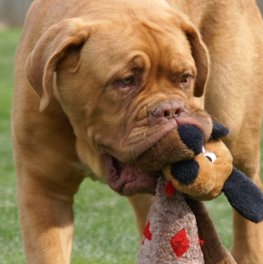 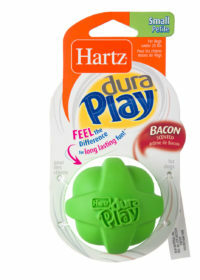 Constructed of super-durable ballistic nylon, this toy can stand up to even the toughest chewers. 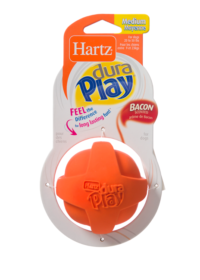 Grips throughout the disc also make this a great tug toy, and the squeaker in the center will keep your dog interested during solo play. 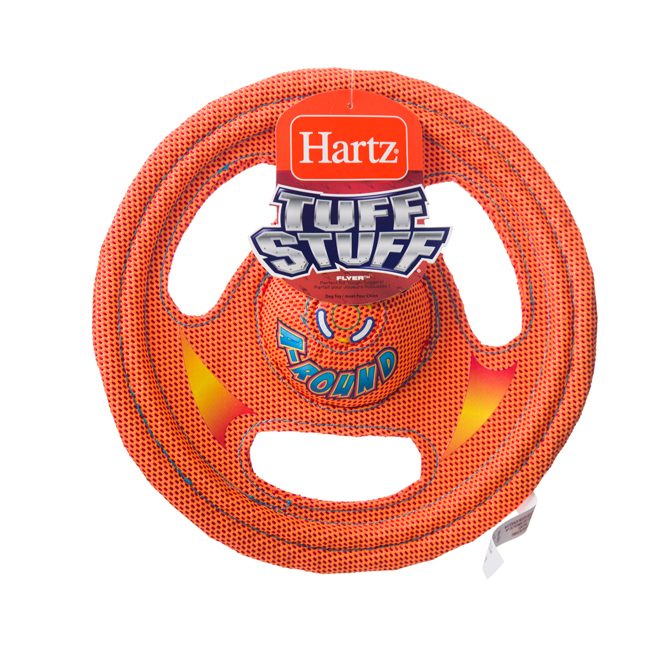 It even floats! 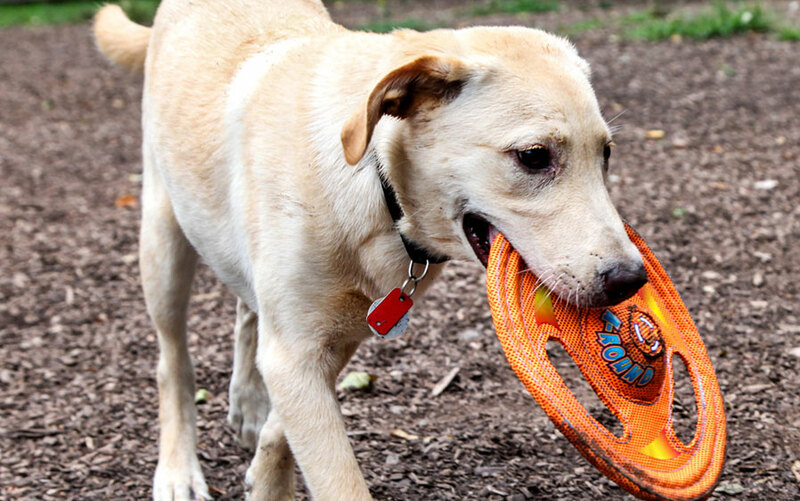 Keeping your dog's toys all together in a single place will make it easy for you to keep track of them. 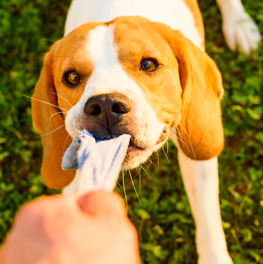 It will also make it easier to go through them on a regular basis and decide which need cleaning and which should be thrown away.